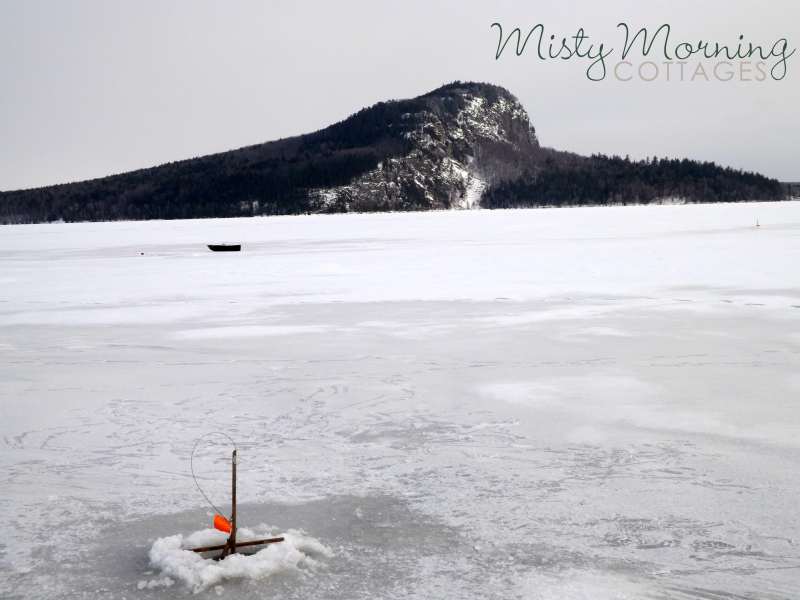 Ice fishing enthusiatsts will love the accessibility that Misty Morning Cottages has to Moosehead Lake. Steps away from your door you can easily put your traps in the water without having to travel any distance from the warmth of your cottage. 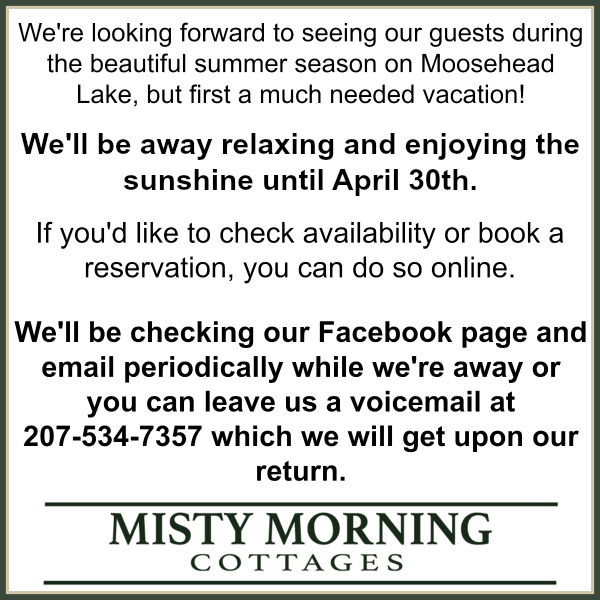 An added bonus is that from any of our 6 cottages you can see your trap flags spring into action, while you stay warm inside. 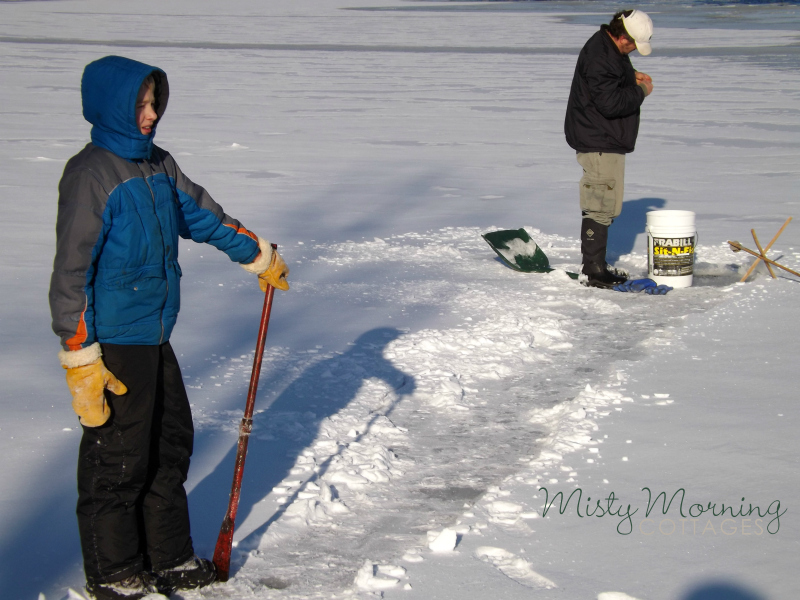 Do you have winter rates for ice fishing?